Supercar Mods So Bad They’ll Make You Rip Your Eyeballs Out Of Your Skull! 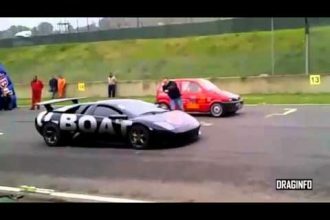 These supercar modifications are so incredibly terrible that before you click play you best get ready to laugh and get ready to vomit and get ready to (want to) claw your eyeballs out of your head! 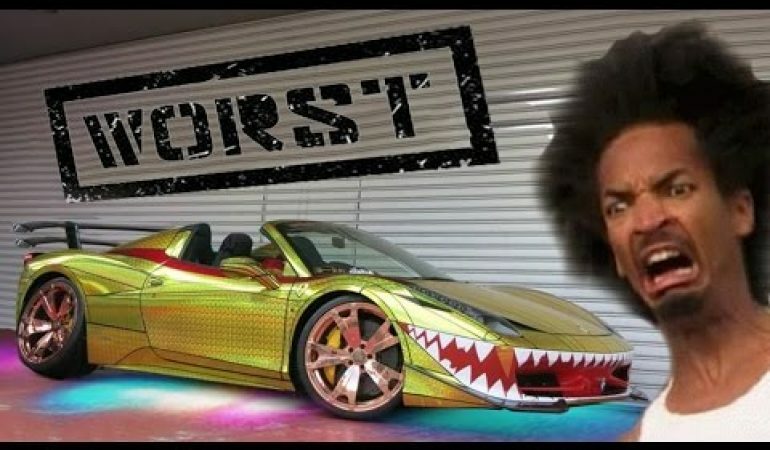 There is a once-gorgeous Ferrari supercar that has gold wheels, neon lights, a gold wrap and a shark’s mouth grill that is so ugly it made a goat scream and a Japanese school girl vomit, a Lamborghini with a front end that looks like an owl’s beak, and so much more terrible supercar mods!